Have you lodged your tax return? After years of looking at big fish taxes, the ATO is now making clear that some of the commonly “small fish” claimed tax deductions will be thoroughly filtered and analysed. 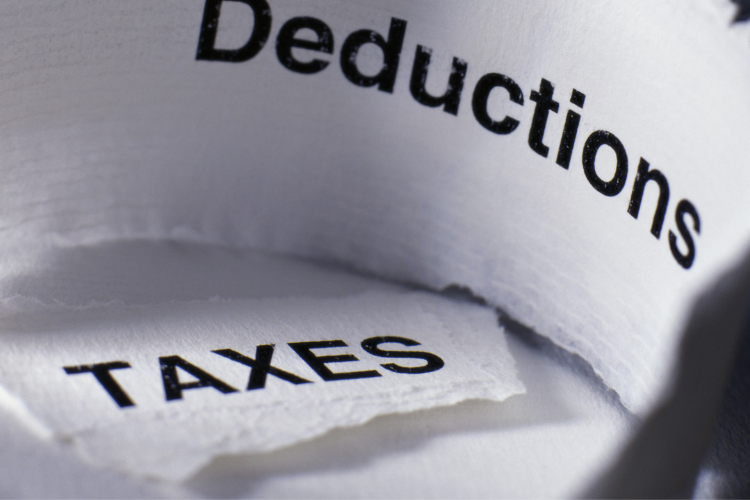 Our friends at Nestegg collated some tips on how to avoid misinterpretation of some of the most popular tax deductions. Check below. The tax office has signalled loud and clear it will be targeting popular, and commonly misunderstood, tax deductions this year. Here’s everything you need to know to avoid the regulator’s wrath. It’s always been the case that taxpayers can’t claim tax deductions for expenses they haven’t forked out for, or that don’t wholly relate to their work. In years gone by, the ATO has been relatively good at catching the big fish, such as those involved in large scale tax fraud or continual and calculated abuse of the system. Now, it’s the small fish – even those with suspect laundry claims – that the ATO can quickly and accurately identify and catch. The tax office’s data matching tools are at their most advanced, and access to government and institutional data is unprecedented. If you have ever put your place up for rent on Airbnb, or a similar accommodation sharing platform, make sure you’re declaring the related income in your tax return. By using the new data provided by online rental platforms, including income received per listing as well as listing dates, enquiry and booking rates, prices charged or quoted per night, and other information, the ATO will seek to identify taxpayers not meeting their registration, reporting, lodgement, or payment obligations. The new data complements long-term rentals information which the ATO already receives from State and Territory Bond Boards. “The availability of short stay rentals has exploded thanks to the online revolution. With the growing number of homes, apartments, units and rooms available via accommodation sharing sites, there is a real risk some people may not understand their tax obligations,” the ATO said. “We are increasingly using data and technology, to identify any missing income in your tax returns. This data will also identify taxpayers who use sharing economy rental platforms to list a property that is not genuinely available for rent in order to claim unwarranted deductions. There is no high-tech hideaway for rental income,” the ATO said. Many taxpayers also wrongly believe they can claim skin products which they deem as work-related. For example, some taxpayers falsely believe they can claim makeup expenses where a job requires them to attend formal events. “There are only a handful of taxpayers with special circumstances who can claim things like makeup containing sunscreen. For most, there isn’t a link to earning their income,” the ATO said. Under legislation which applied from July 1 2017, taxpayers are no longer able to claim any deductions for the cost of travel to their investment property, with very few exclusions. Further, income tax deductions for the decline in value of previously used plant equipment in an investment property are no longer allowed. “A lot of clients have been coming into our offices without really understanding that they have been affected by those changes and they think they can claim things that they now can’t and a lot of them are not very happy that they can no longer make these claims particularly around travels costs,” said H&R Block’s director of tax communications, Mark Chapman. The ATO is also set to launch a compliance crackdown on work-from-home expenses. You can read our full report on this here. Article originally published on Nestegg, A crackdown on popular tax deductions is coming.